U-verse TV + Internet. Better together. $75/mo for 12 mos + up to $250 in AT&T Visa reward cards with online orders. Order DIRECTV and receive a $100 AT&T Visa Card. Online only. 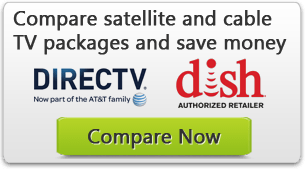 DIRECTV for $35/mo for 12 mos. + $100 in AT&T Visa cards. TV Activation Fee waived with online orders. Up to $100 in AT&T Visa Reward Cards with new DIRECTV or new U-verse TV ordered online.